The other day I posted my souvlaki chicken recipe and mentioned that I had paired it with a simple green salad and my lemon roasted potatoes. 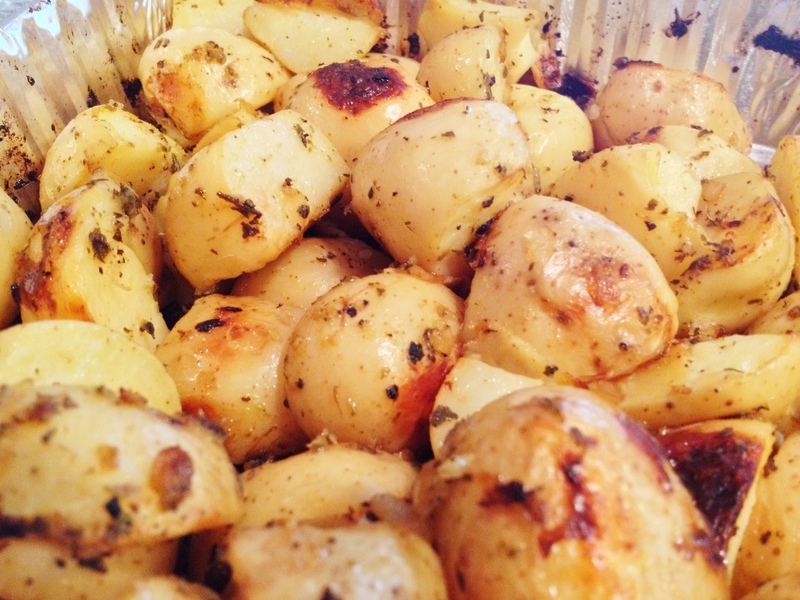 Today i’m going to share the recipe for the lemon roasted potatoes. They are bright, sunny and have just the right amount of zing to add to your meal. As you are aware, I love food. Something I do on vacations is check out grocery stores in other countries because I love to see what kind of different ingredients are out there. 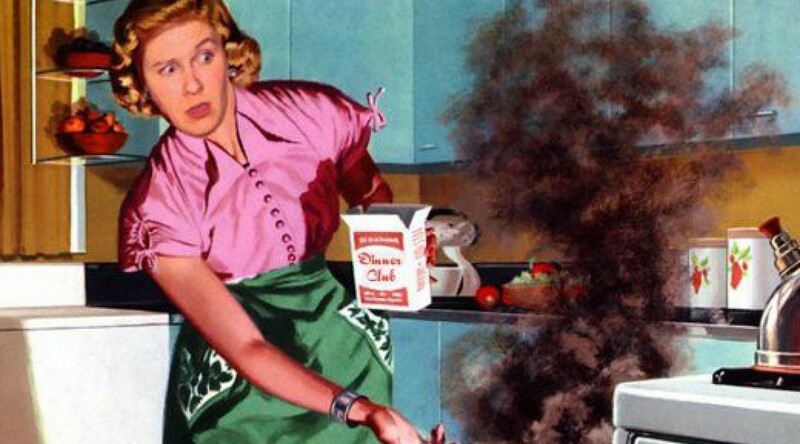 The other thing I like to have in my possession are cook books…and lots of them. (see…all of my hobbies revolve around food and cooking…it’s kinda crazy). I have lots of cookbooks…but I don’t actually use them to cook with. I normally brew a pot of coffee, sit down and look through cook books for inspiration. Upon one of these sessions, I was scrolling through Jamie Oliver’s 15 minute meals and he has loads of recipes that call for preserved lemons. 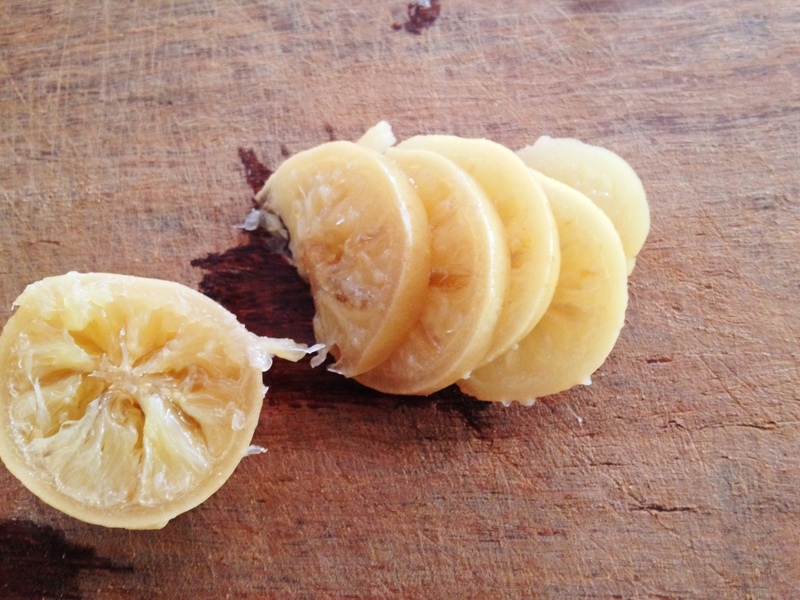 I had no idea what the heck a preserved lemon was but it definitely intrigued me. 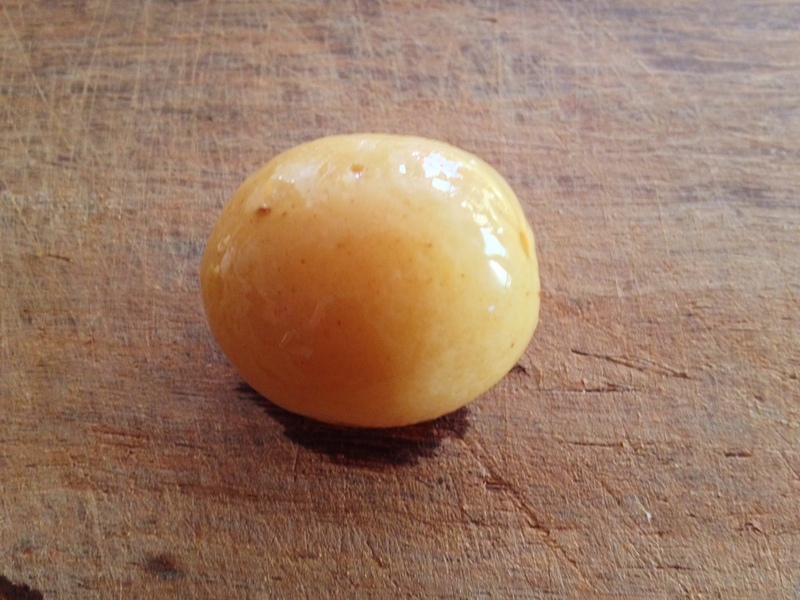 I started to watch you tube videos on how to preserve your own lemons (which is pretty darn easy cuz it’s basically just lemon, salt and a bit of water) and the hunt was on to find these little flavour bombs…cuz who was I kidding, it was the dead of winter and I wasn’t gonna be preserving no lemons. Then I got the opportunity to go on this pretty awesome team builder (yup I had an ulterior motive when I planned it…insert evil laugh here) to the cookbook company and I got to work with a team in this big kitchen and prep a meal with my colleagues. Everyone was assigned different stations, some were on appetizers, others on mains and you were responsible for prepping and cooking your particular part of the meal with the assistance of a chef. It was so much fun and awesome and then you got to all sit down and enjoy your meal together…and pray to the big house that you weren’t going to die of food poisoning if someone else eff’d up. It was really great but what was even better is that they had a little store attached to the cooking studio. While most people finished their dessert or had a few more sips of wine…I browsed the store looking for really cool and unique things. They had great cookbooks, food tools like spiralizers, mortar and pestles, Tagine’s you name it…they had it! The food was divided in to sections of the store, Asian, Middle Eastern, Italian and they had food products associated with that region’s cooking. I was pretty much in heaven! Then out of the corner of my eye…I saw them glancing at me, PRESERVED LEMONS!! Woot. My search was over, I found them…Hoorah, Rejoice, raise your hands up in the air because my kitchen was about to experience something new, bright and sunny and I couldn’t wait!! I have to be honest, this jar sat in my pantry for quite a while because I just really didn’t know what I wanted to do with them, did I want to use them in. I sat on that or a while and when summer rolled around and BBQ season was upon us..I figured it out. Lemon Grilled Potatoes. I set out on a quest to jazz up your usual grilled, roasted spuds and make something new and fresh. First thing I did was parboil the potatoes. I normally do this if I am bbq’ng baby potatoes because if not, they just take so long on the grill and I don’t really have the patience for it. Its also too much to wrangle a hungry lion, manage a bbq, make sure the rest of your dinner is coming together…nope. 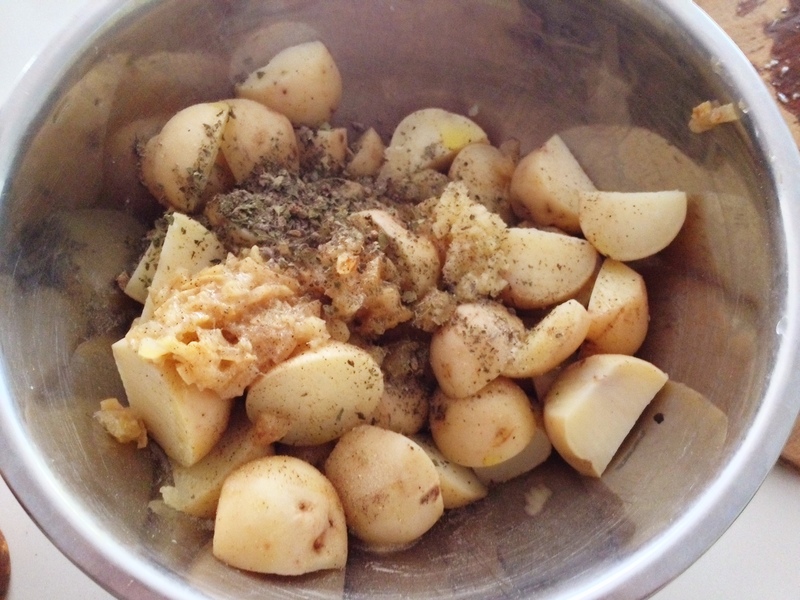 I get a head start on these potatoes so that the whole meal will really only take 20/25 minutes. You can pretty much boil the potatoes ahead of time in a pot of water for a few minutes or until your fork can go all the way through. The other thing you can do if you don’t have time is do this in the microwave. Our place gets so hot in the summer and turning on a gas stove heats it up even more so I often end up doing this in the microwave. Just place in a microwave safe bowl, with water and nuke for about 4 minutes (or until you can put a fork through the potatoes). Drain the water and set the potatoes aside. I cut the potatoes in half to maximize grilling potential and get some nice crunchy bits. 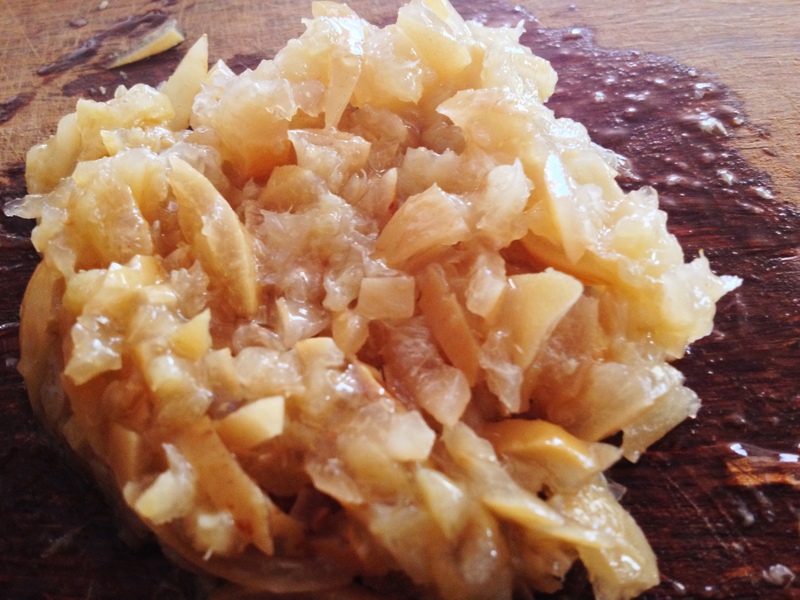 Next you want to cut up 2 preserved lemons. Now if you have never had preserved lemons, they are awesome, bright, really add a nice mix of subdued citrus flavour that isn’t sour but still intensely lemon. The one thing you have to understand is that they are salty because they pretty much sit in a brine of salt. If you are trying to cut down on your sodium (which according to Nurse Husband…is the silent killer), then I would suggest rinsing the whole lemon before use. This will wash the salt off. I however, did not wash off the salt because I didn’t mind a bit of salt in this particular dish because potatoes often require a bit of salt. Next i’m going to slice them up real fine and chop chop chop in to little pieces. Remember to take out the seeds…unless you are looking for a trip to the dentist when you chomp down on your potatoes without realizing there is a seed in there. Now that you have your lemon chopped up, you are going to start to season your potatoes to get them ready for the grill. Next add Olive Oil, Oregano, Pepper, Minced Garlic, the chopped preserved lemons and a tiny bit of salt if you desire (I used Herbamare) and then mix together. You can either get ready to grill or set aside in your fridge for an hour or two to really flavour up. Your call. 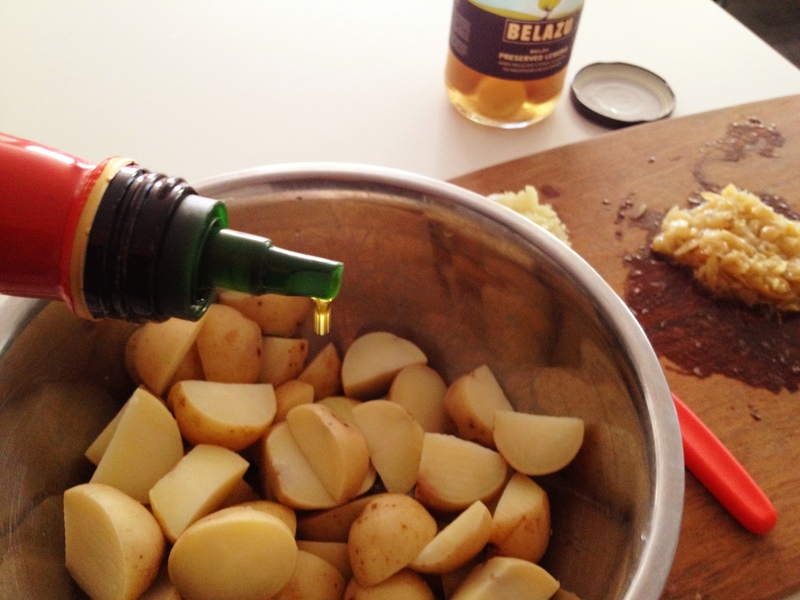 Now add olive oil to a bbq safe dish. I use those aluminum foil dishes on the bbq, that way I don’t wreck my pans. Make sure the dish and the potatoes have enough olive oil because the preserved lemons tend to stick to the pan so make sure you have enough so that you can safely move the mixture around without sticking. Grill on the BBQ for about 20 minutes or until they are grilled to your desired liking. Remember they are cooked already so it’s just a matter or getting them nice and brown. I like to go out and check on them about 7-10 minutes in so that I can move them around and give the other sides a chance to get golden. Transfer to a bbq safe dish and grill on bbq for 20-25 minutes depending on your desired level of golden brown. I paired these potatoes with my souvlaki style chicken and a simple green salad and it was a dinner winner! I have been DYING to use my jar of preserved lemons so will definitely try this!!! Atta Girl!! I was in the same boat!! 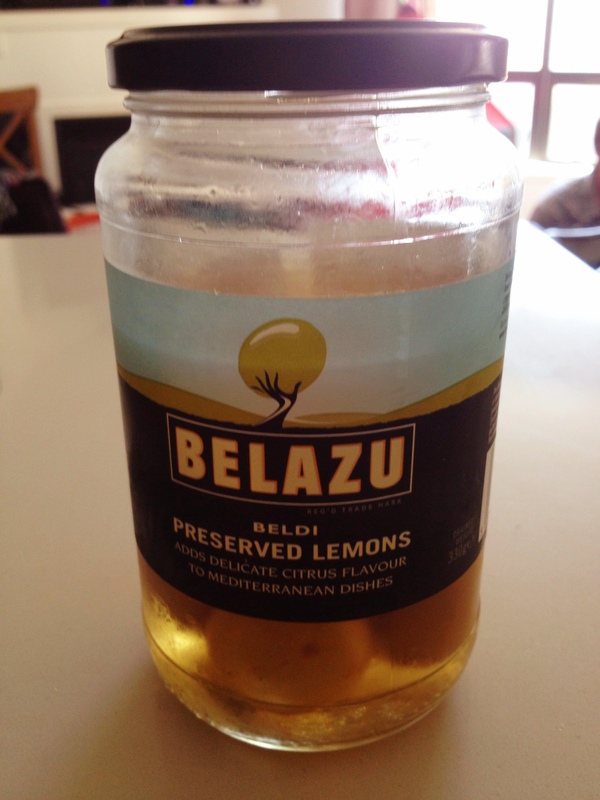 In the coming weeks I will attempt to preserve my own lemons…stay tuned for a blog post about it! !